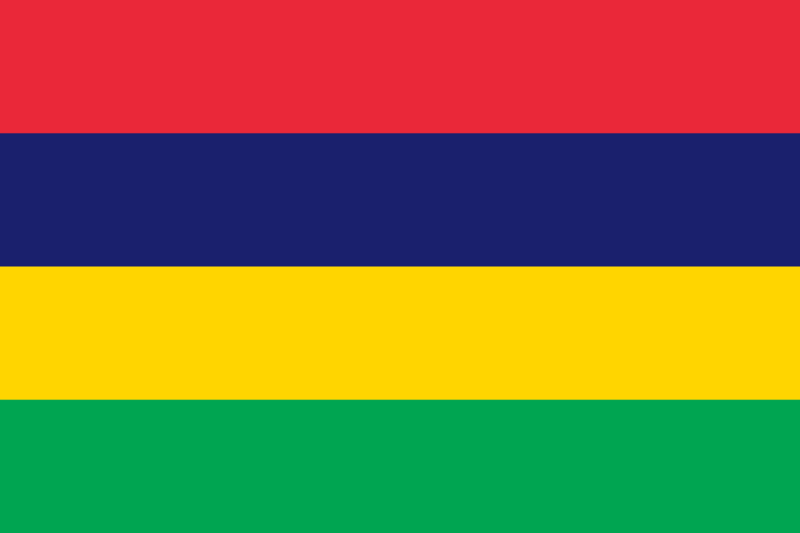 Mauritius is an island located in the eastern direction of Madagascar and its flag consists of four horizontal stripes. The top one is red, then blue, yellow and green at the bottom. The colors used are of traditional Pan-African importance. Red color indicates the struggles to achieve independence and blue color represents the Indian Ocean, which surrounds the island. 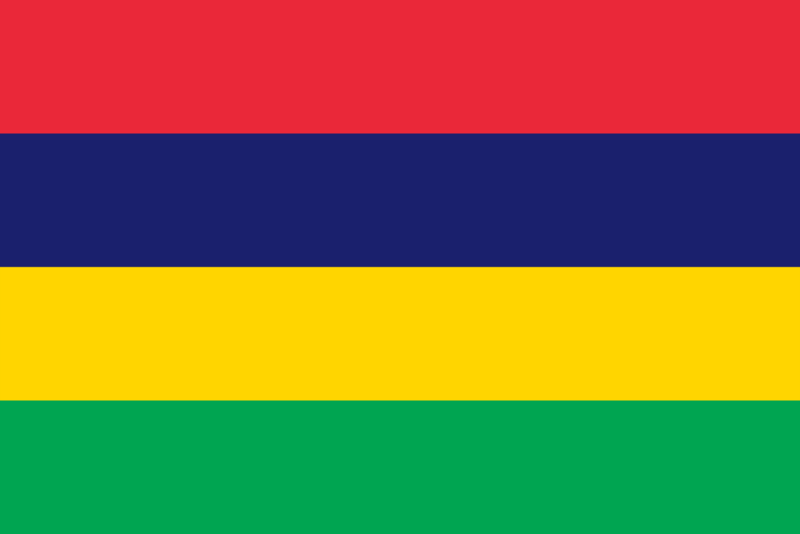 Yellow stripe should symbolize bright future of the island after gaining independence and green stripe reminds lush vegetation of Mauritius. These colors have been inspired by coat of arms of the island, which King Edward VII gave to Mauritius in 1906. The flag has been adopted in 1968 when the island gained independence from the British rule.